Fellini used to say that he still worried about Cabiria, the prostitute heroine of LA NOTTE DI CABIRIA, and wondered what she was up to, long after he made the film, as if she had some independent existence. I feel the same about Anton Chigurh. Oh, I know the Coen brothers did their best to suggest at the end of NO COUNTRY FOR OLD MEN that Anton would be fine, allowing him to walk off into the sunset as it were, and even taking care to establish the fact that Tommy Lee Jones has retired and is no longer hunting for him. But still I worry! 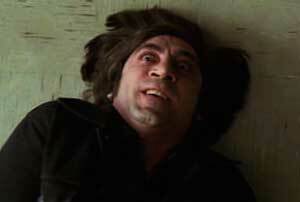 Chigurh, after all, is someone who kills whenever his car runs out of gas, simply to get a ride. Is there really a place for him in this wicked world? It would be terrible to think that Chigurh, “the one completely blameless individual in this whole situation,” to quote George Macready in PATHS OF GLORY, might face an uncertain future after wiping stray bits of Kelly MacDonald off his boots and setting forth in his nice new shirt. I know he’s in all our thoughts and prayers. 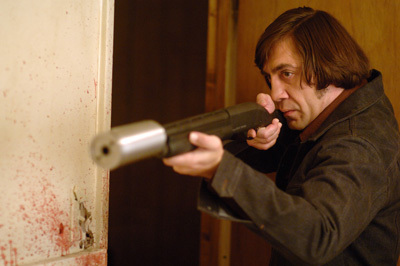 So — am attempting to find something to say about every film I watch, so that puts a little pressure on to react to the Coens’ latest offering, NO COUNTRY FOR OLD MEN. 3) Those who don’t like the films. While Coens detractors may admit that the films are well-made, even stylish, and the brothers certainly have some flair for dialogue, the argument against tends to centre on a certain lack of feeling. The Coens like to write about dumb people doing dumb things, often with a high mayhem factor in the outcome. At the same time, the writing-directing-producing-editing team are keen to show off how smart they are, with showy film technique, extravagant dialogue and cultural references — several Coens films are overt pastiches, almost amounting to plagiarism, of the styles and stories of James M. Cain (BLOOD SIMPLE), Dashiell Hammett (MILLER’S CROSSING) and Raymond Chandler (THE BIG LEBOWSKI), while OH BROTHER WHERE ART THOU? 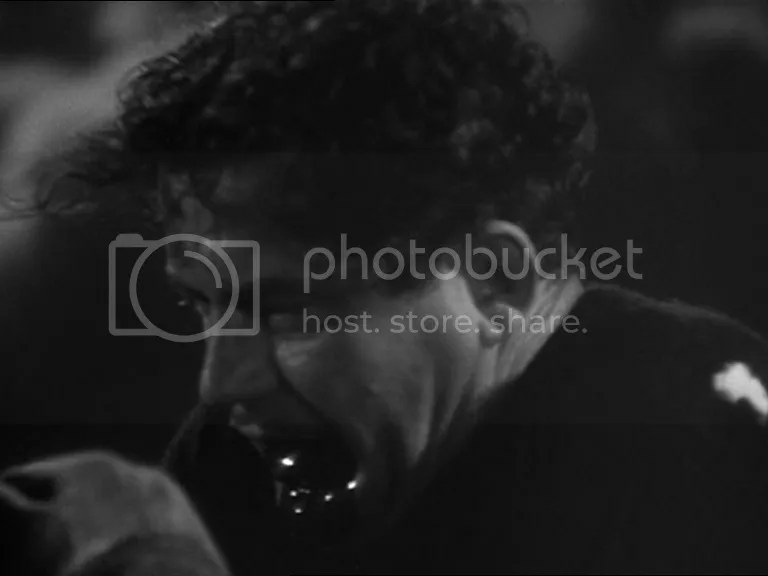 fuses various scenes and satiric approaches from Preston Sturges’ SULLIVAN’S TRAVELS onto the narrative of Homer’s Odyssey. This tendency to set themselves up as superior to their characters is quite objectionable to some, but while I detect its presence and admit that’s what’s going on, it never bothered me too much. Whether the Coens have contempt for their characters, or love them, *I* like H.I. and the Dude and Marge, which is enough for me. I also see the Coens as working primarily in a comic register, even in an apparently serious flick like BLOOD SIMPLE or MILLER’S CROSSING, so the use of slightly dopey characters is a genre convention and comedy device that I can’t particularly object to. It’s apt that the Coens finally referenced Preston Sturges, who has a similarly aloof relationship to his characters, although I think it’s clearer that he sympathises with them (and also, he doesn’t inflict gory violence upon any of them, except in SULLIVAN’S TRAVELS and the imaginary sequences of UNFAITHFULLY YOURS — come to think of it, he’s gorier than any contemporaneous comedy director). Seeing the C-Bros as comedy filmmakers may reduce the obnoxiousness somewhat, but it perhaps becomes a problem in their latest, which isn’t overtly hilarious at any point. Despite its dramatic surface, as David Ehrenstein has argued, the film more or less continuously puts the spectator at an advantage over the characters: we generally know they’re going to die long before they do. Using dramatic irony or poignancy is a standard thriller device, but it’s unusual to see protagonists as continually predictable as this. The film generates surprise more by throwing in random plot developments (a car-crash from out of the blue) and violations of genre and narrative conventions (major characters eliminated off-screen, villains unpunished) than by interesting character psychology. So, if the film is not consistently funny, what is the point of this God’s-eye view of the characters? The ironic distance seems more a matter of habit or compulsion than a necessary approach to the story. The Coens have never cared for theme, or making a point, or teaching a lesson, or even putting over a world view: their films are too filtered through books and other movies to comment directly on any form of reality. 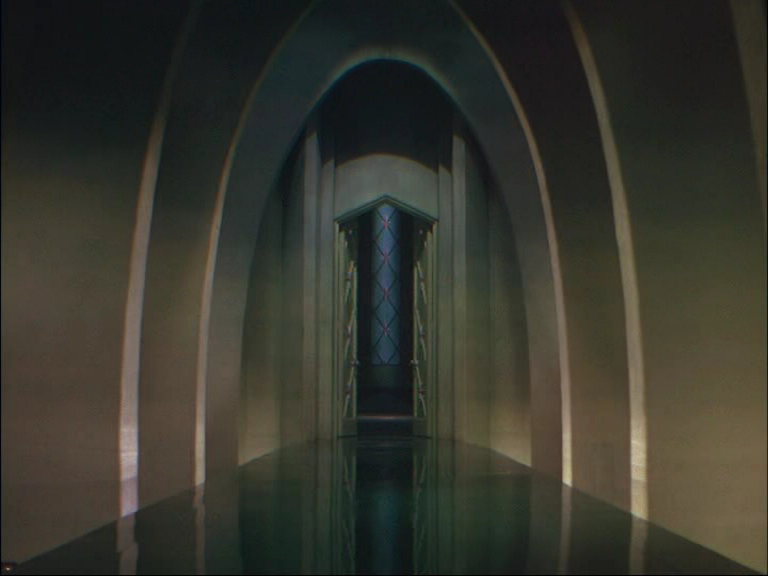 They are interested purely in story, in tall tales which feature surprising twists, tone shifts and genre-bending — the films are fairy tales, devoted to the plot and nothing but the plot. SO — if I’m starting to like the Coens less, it’s not because I object to their tone, it’s simply because, with each stylish, empty film, they seem to repeat themselves a little more, and it doesn’t feel like they can become more interesting unless they take a giant step and actually engage with something in the real world that they care about, if such a thing exists. *See also: most of John Hodges’ scripts for Danny Boyle. SHALLOW GRAVE, TRAINSPOTTING and A LIFE LESS ORDINARY all revolve around cases of cash!